Even though cold sores eventually heal on their own, there are typically two reasons people want to speed up the healing process. First, they can be embarrassing. Unsightly blisters on or around the lip would make anyone want to heal the problem quickly. Second, they can be extremely painful. Aside from healing, though, there are ways to alleviate that pain right away. Cold sore blisters go through different stages. Some of these stages are more painful than others. A fever blister may start out as nothing more than a slight itch or irritation around your mouth. These are usually the first symptoms associated with a flare-up. However, it doesn’t take long for a blister to come through. Once it forms, that itching can increase. The most painful stages are when it bursts open and ooze, and when it scabs over. The scabbing stage is a good indicator that a blister is healing. But, dealing with the pain can be almost unbearable on a day-to-day basis. Plus, it can cause you to itch or pick at the cold sore. This can cause more irritation and extend the time it takes to heal. This article will focus on several popular and quick methods for alleviating cold sore pain on the lip quickly. Some of these treatments will also help to encourage healing. But, most of them are focused directly on providing instant relief to any pain you might be experiencing. How Can I Get Instant Relief From Cold Sore Pain? Blisters can often come with swelling, itching, and redness. Using methods that can alleviate all of those painful symptoms can make the experience feel far less overwhelming. Many of these solutions utilize things you may already have in your home. You don’t have to go far to find relief from a blister on your lip. Let’s take a look at some of the best options to get rid of the discomfort. There are over-the-counter products that help heal a cold sore faster. However, if you’re just looking for pain relief, you may already have some solutions in your medicine cabinet. Products like ibuprofen or acetaminophen can help to reduce swelling and block out the pain. If you have additional painful symptoms from your outbreak, such as a fever, these treatments can also help to reduce those side effects. If you’re looking for an over-the-counter treatment that contains all natural ingredients, one of the best is HERP-B-GONE. It is a topical cream that can be applied directly to a blister safely. With ingredients like coconut oil, lemon oil, and peppermint oil, it helps to speed up the healing of a blister while providing fast relief. This cream was developed by a doctor and is approved by the FDA. There aren’t many natural solutions that can obtain that seal of approval. It should offer peace of mind that you can use this product safely every single day. While it is meant to be a healing solution, many users suggest that it gets rid of the pain from blisters right away. It can wipe out the symptoms completely in as little as two days, depending on how early you start using it. 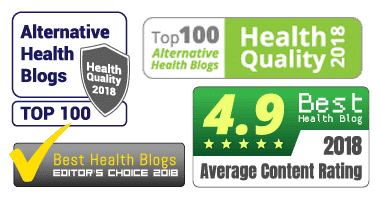 If you’ve been interested in using an over-the-counter product, but you’ve been worried about chemicals or preservatives, HERP-B-GONE Cream is a great way to go. Lemon balm is a popular cold sore treatment. It can help to reduce the intensity and frequency of future outbreaks. When you use a lip balm with at least one percent lemon balm, it can help to reduce redness and swelling of a blister. This is because lemon balm is a member of the mint family. It provides a cooling, relieving sensation to inflamed, irritated cold sores. You can also use a compress of lemon balm tea to experience the same results. However, having lemon balm with you at all times allows you to use it at the early stages of a cold sore. The earlier you start using it, the more effective it is likely to be in reducing your painful symptoms. Aloe Vera is commonly used to treat different types of cuts, burns, and injuries. It works extremely well on healing cold sores quickly and providing pain relief. You can either use the leaves of the aloe plant, or a topical agent containing Aloe Vera for effective results. Aloe Vera’s potency comes because it contains antioxidants, vitamins, and essential fatty acids that are meant to heal wounds quickly. These properties also help to prevent the spreading of infection. If you’ve ever had a cold sore, you know how contagious it can be. Keeping it contained is extremely important. When it comes to irritation, Aloe Vera works as an anti-inflammatory agent. It can help to reduce redness and swelling from a blister, thus cutting back on the amount of pain you’ll likely feel. Because it’s completely natural, you can use it multiple times a day as needed for pain relief. Research suggests that over 90% of adults in the United States alone have the herpes simplex virus that can cause cold sores. Additionally, blisters are incredibly contagious. So, it’s no surprise there are many treatments on the market specifically designed to get rid of them. One of the most popular treatment options is Orajel. Orajel makes a single dose cold sore treatment that is made to provide instant pain relief. It is also supposed to start healing a cold sore as quickly as overnight. However, the pain relief from just one treatment is usually enough to make people trust it again and again as a treatment option. Orajel uses an ingredient called Benzocaine. It is an antiseptic agent that can speed up the healing of blisters, but also reduce their painful side effects such as itching, swelling, and redness. If you apply it early enough, you may be able to avoid a lot of the painful symptoms, to begin with. If you’re prone to outbreaks, keeping this small single dosage on hand is a great way to keep pain and irritation away. You probably have a bottle of vanilla extract in your baking cupboard. But, did you know pure vanilla extract is also a great anti-inflammatory agent? As soon as you feel the first signs of a cold sore coming on, soak a cotton ball in vanilla extract (or vanilla oil) and apply it directly to the affected area. Try to keep it in place for a few minutes for best results. You can repeat this process several times each day as needed. If you use vanilla oil, it can help with pain and healing. Vanilla extract will mainly target pain and redness. If you choose to use this as a remedy, it’s a good idea to ‘splurge’ on the expensive extracts. Imitation extracts won’t work! To alleviate cold sore pain instantly, take a vitamin E capsule and break it open. You can apply the liquid inside directly to the blister. Rub it in gently all over the affected area. It will help to soothe pain, repair damaged skin, and reduce inflammation quickly. By keeping this essential vitamin a part of your diet and using it as needed for pain, you’ll be able to fight back against the discomfort of a cold sore, and the virus itself. You’ve probably used ice to reduce swelling on a bump or bruise before. It works just as well to reduce swelling on a cold sore! Ice works double duty on a blister. While it may not heal it, it helps to numb the area for a while. This reduces the amount of pain you’ll feel while the swelling goes down. A cold compress can do the same thing. Additionally, using ice or a cold cloth directly on the blister can help to soften it during the crusting stage. One of the biggest risks as a cold sore begins to scab is that the scab will crack. This can cause the blister to burst open again. It may even bleed. If that happens, it could take longer to heal, and you could be exposed to further infection. That triggers even more pain. By keeping the scabbed area soft and moist, it’s less likely to break open. Many natural over the counter cold sore products contain tea tree oil as an active ingredient. You can use one of these solutions, or use pure tea tree oil on its own to help alleviate pain. It is a natural antiseptic and anti-inflammatory agent. It also has antiviral properties that can help to reduce the healing time of a cold sore. If you’re using pure Australian Apothecary tea tree oil, you should always use a carrier oil when applying it directly to your skin. It only takes a drop or two to be effective. Have you ever noticed that certain foods seem to cause more pain when you have a cold sore? It’s not just a coincidence. Foods that are highly acidic can increase the burning sensation that sometimes comes with a blister. Avoid citrus fruits and tomato-based products, as well as hot beverages, or foods that are overly spicy or salty. By keeping these foods from your diet, you’ll experience less pain throughout your flare-up. If you reduce them in your diet, you may be able to reduce the intensity of future flare-ups, too. The same milk you drink on a regular basis can be an extremely soothing solution to a painful blister. Milk contains certain proteins that work as antibodies. These antibodies fight off the virus that causes outbreaks in the first place. Milk also contains lysine, which is a common treatment option for cold sores. Not only does it help to weaken the virus, but the cooling relief will help to reduce swelling and irritation almost immediately. For best results, dip a cotton ball in a bit of milk (organic milk is best) and press directly over the affected area. Leave it there for several minutes. You can repeat this process as needed throughout the day until the blister is fully healed. Using a tea bag can help to reduce swelling and irritation of a cold sore, thanks to the antioxidants in the tea itself. Echinacea tea takes it one step further. You can either sip the tea or apply a tea bag directly to the blister for instant relief. Echinacea has antiviral properties and can help to speed up the healing time of an outbreak, too. For even more instant relief, place the tea bag in the refrigerator or the freezer before applying it to the affected area. You’ll get a similar effect to using an ice cube or cold compress. But, you’ll additionally get the antioxidant benefits of the tea at the same time. You shouldn’t touch a cold sore for many reasons. Reducing the amount of pain a blister can cause is a huge one. Not touching a fever blister isn’t going to provide ‘instant’ pain relief like some of the other suggestions in this article. However, it will keep the pain to a minimum throughout the duration of your outbreak. One of the biggest problems with cold sores is that they can be incredibly itchy. It’s tempting to scratch them to alleviate that itch. Unfortunately, scratching can make it worse, and cause even more irritation and swelling. It also makes it easier for the virus to spread to others or even other areas of your body. Using barriers such as cold sore patches or even petroleum jelly can reduce the itching sensation. Again, this isn’t a ‘quick fix,’ but it’s important to know that the more you touch your cold sore, the more irritated it will likely become. Avoiding direct contact can save you from a lot of pain in the long run. 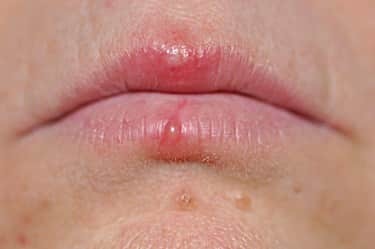 What’s the Best Way to Soothe Irritation of a Cold Sore? From the earliest tingling sensation, to blistering and oozing, getting a cold sore is a horrible experience. The best thing you can do is treat it early. Detecting an impending blister early and treating it will reduce pain, and can speed up the healing time. It’s also important to avoid things that can spread cold sores to other areas, such as lip piercings. Most of the suggestions listed in this article are natural solutions. Remember that the herpes simplex virus cannot be cured. But, some products and ingredients contain strong antiviral properties. They can weaken the virus back into its dormant state. This shortens the time it takes to heal a blister and can make it less painful. If fever blisters are making you feel self-conscious, the good news is that they can be ‘invisibly hidden’ with a Compeed cold sore patch. This is a good option during the scabbing up stage. They’ll reduce visibility, the patches are medicated, and they provide a protective barrier. This can prevent you from disturbing the scab when it’s healing. There may be no way to prevent a cold sore outbreak. Unfortunately, painful symptoms are common with each flare-up. However, by using some of the solutions listed here, you’ll be able to soothe some of that pain right away. Finding relief with the best OTC cold sore medicine can make a big difference in how overwhelming an outbreak might feel.